As of June 30, 2017, the doors of Vaughan Road Academy, once known as Vaughan Road Collegiate Institute, will close for good. That's ninety-one years of memories, nine decades of dedication to excellence in academics, fine arts and athletics. Many graduates have gone on to excel in their chosen field, whether in business, the arts, community service, sports, public life or academia. Take a few moments and watch the tribute video above. It was put together by Bob Pomerantz, class of '75 for the Tribute day ceremonies. It's sure to bring a tear to your eye. 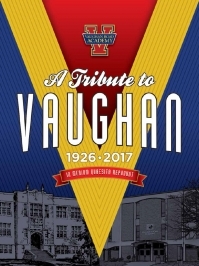 "Alumni bid fond farewell to 90-year-old Vaughan Road Academy"
"Community commemorates Vaughan Road Academy, closing after nine decades"
Thanks to all who came out for the one last time on Saturday, May 27th, 2017. Over 1400 alumni came to bid adieu to the stately school which shaped our future and prepared us for where we are today. Alumni walked the halls and reminisced. It was a bittersweet day for all of us who loved Vaughan. Thanks to all the volunteers, performers and committee members, current staff and students who made the day so memorable. And a special thank-you to the cafeteria team who put on a nice spread and the custodial staff who made the school spiffy clean. 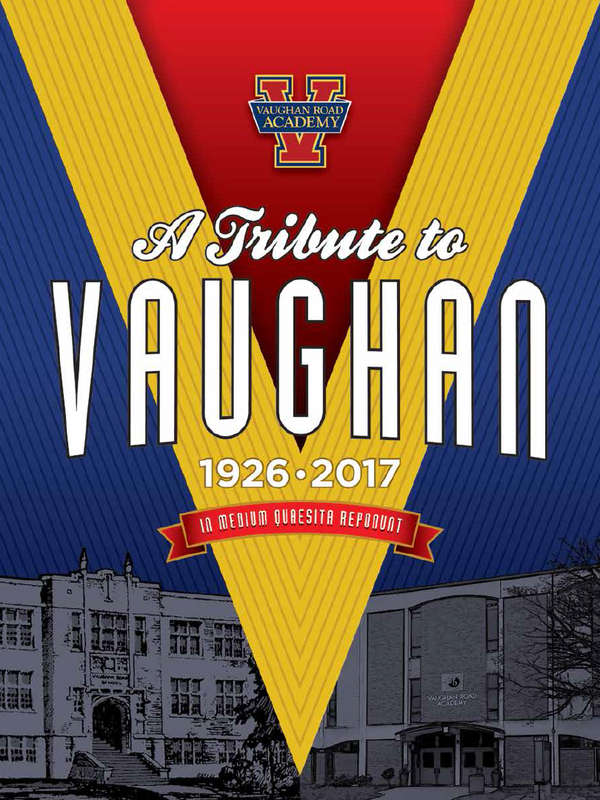 Click here to download and read the Tribute magazine written for the May 27th, 2017 Farewell Tribute which highlights Vaughan Road’s 91-year history.